Brent Schlender, a veteran journalist that has been covering Apple for the last 25 yeras, has recently published new snippets of interviews with Steve Jobs. One quote in particular from 1998 sharply counterpoints recent rumours of a full-blown Apple TV set. I don't really believe that televisions and computers are going to merge. I've spent enough time in entertainment to know that storytelling is linear. It's not interactive. You go to your TV when you want to turn your brain off. You go to your computer when you want to turn your brain on. Those are not the same thing. At the D5 conference in 2007, Jobs explained why the Apple TV wasn't anything more than a hobby, and again in 2010 that there wasn't a viable go-to market strategy that wouldn't produce "just another TiVO". That's not to say Jobs didn't want to try to make a great TV set; his official biography cited Steve Jobs as saying that he had "finally cracked" a solution that would avoid all of the disconnected experience with cable providers and peripherals like DVD players. 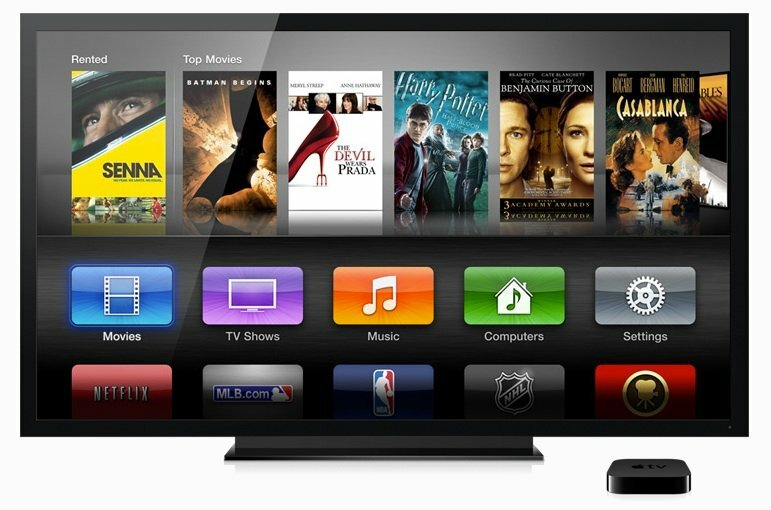 With Jobs gone, maybe Apple will be able to pursue its ambitions in television more freely. After all, the latest update to Apple TV sported a user interface that Jobs vetoed, so that shows some added amount of flexibility -- but that doesn't necessarily mean that it will be done right or be the right thing to do. Then again, 2012 or 2013 isn't 2010, 2007, or 1998. As is often cited, Steve Jobs at one point said no one wanted to watch video on an iPod, or read books, and that Apple wasn't making a phone. Times and go-to-market conditions change. Ikea recently launched their own integrated TV set solution (see the video, below), which I think looks great. Could Apple do something similar? What would your ideal Apple TV look like? How much overlap should there be between TVs and computers?